Silver Buck is a healthcare IT specialist agency covering a diverse area of expertise from cloud, cyber, AI, EPR, systems integrator, start-ups, private healthcare providers, NHS organisations and government to medical devices and clinical research organisations. Do you want your prospects and clients to know, want, buy or keep your solution? 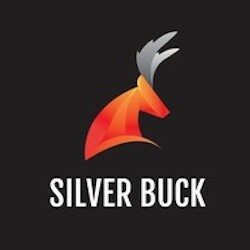 Silver Buck doesn't just look at your campaign as a series of isolated activities but will work with you and partners to create a highly bespoke, best of breed PR, marketing and sales enablement strategy determined precisely by where you are in the awareness, demand and retention cycle. Silver Buck delivers specialist PR, marketing and business acceleration services to the health IT industry. Silver Buck leaders are pioneers, disruptors and creative thinkers delivering creative, end to end, fully integrated PR and marketing that focuses on awareness, demand, leads and nurture in a way that develops with constantly evolving practices.